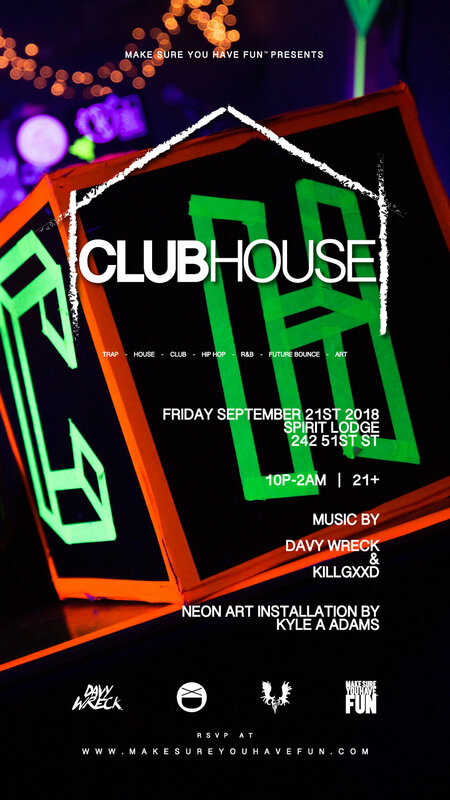 On Friday September 21st Make Sure You Have Fun Presents: ClubHouse! ClubHouse is the best open format night that Pittsburgh has to offer. Featuring a wide range of dance music from Trap to House and everything in between. All underneath a UV reactive art installation!